Do You Need a SSN to Open an IRA? SSNs are required to open any kind of investment account. 3. What Happens if a Wrong Account Number Was Provided for Income Tax Returns? An individual retirement account is one of the best ways to save money for retirement. Depending on the account type (traditional or Roth), you'll save on taxes either when you contribute to the account or when you make withdrawals. The IRS sets the rules for IRA accounts, while account custodians actually handle the money and investments. As the owner, you just add money; to open the account you must provide some basic information about yourself, including your Social Security number. According to Section 326 of the Patriot Act, banks and brokers must obtain your Social Security number to open an account. The same is true for IRA custodians, whether they are individual financial advisers or large institutions such as mutual funds. The stated purpose of the law is to prevent illegal money laundering and other financial crimes, and to investigate possible terrorist or criminal activity. In addition, the Federal Deposit Insurance Corp., which insures bank accounts, requires banks and anyone else handling insured accounts to use a Customer Identification Program to verify the identity of their clients using the Social Security number. Your Social Security number is a unique identifier that the IRS uses to handle your tax returns and tax accounts. You must supply your Social Security number when filing a tax return, or when you open any type of bank or investment account. The IRA custodian uses the number when reporting interest, dividends and gains on the account to you. The IRS uses the number to keep track of any back taxes you might owe, as well as your income from employment or investments. IRS rules dictate that an IRA custodian must request a "taxpayer identification number" when opening an account, which in the case of individuals means a Social Security number. 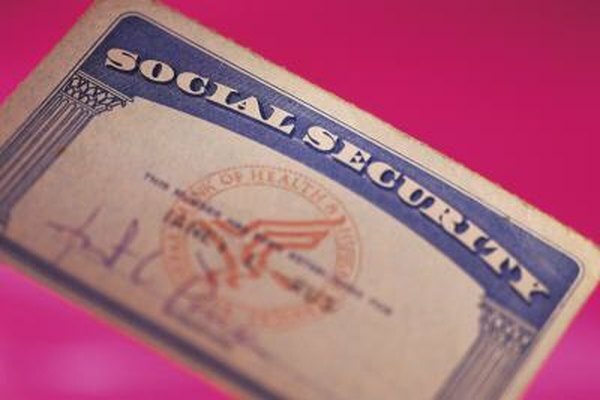 Anyone not eligible for a Social Security number must request an individual taxpayer identification number. If a customer does not provide the Social Security number or ITIN, then the custodian must start backup withholdings -- submitting funds from the account directly to the IRS to cover any possible tax obligation. If you don't have a Social Security number, you can request one from the Social Security Administration. You must complete an application form known as an SS-5, Application for a Social Security Card. You must provide original documents proving your citizenship or legal residency status, as well as your identity and age. Social Security accepts birth certificates, passports, certificates of naturalization, or current immigration documents proving your status as a legal resident. You don't have to be a citizen to get a Social Security number, but you need to be in the country legally.